Music is a competitive industry. Getting your music heard above the rest can be half the battle. This course will teach you to create music to a professional, release-ready standard using Ableton Live. You’ll also understand sound design, mixdown (how to make your tracks sound really good), and music theory. The course will then back this up with how to make your music stand out from the crowd. You’ll gain a solid grasp of everything from the key institutions you need to know about, to music publishing. We’ll look at music contracts and how to monetise from music with (or without) labels. Finally, we’ll look at how to develop yourself as a brand so you can get ahead. In a creative environment with expert tutors, you’ll progress step-by-step. Go from a beginner to using Ableton Live like a pro. You could be a producer looking to get signed, or start a label. Or run a festival, or manage other artists. Or something else entirely. We’ll give you the tools to achieve this. Music Prod: 1x6hr daytime or 2 eve lectures (12 months). Business: Sat 3 – 6pm / Thurs 7 – 10pm (3 months). Music Composition: Mon or Wed 7pm-10pm (3 months). Once your music is at a standard where it can be released, do you know how to get it out? If you are presented with a contract from a label, do you know what to look for? You may want to manage yourself, others, or look into a completely different area of the music business: either way if you have a key understanding of the roles of record labels and publishing then you put yourself in the best position possible to create opportunities from it. By understanding how to you can make your music pay, you can ensure that you have a sustainable career from it. Whereas most Music Business Courses are designed to create ‘business people’ the MMS Music Business module is much more than that. It has been designed for anyone who wants to make a living out of music and is perfect for musicians, bands, artists, managers, DJs, promoters, producers, technicians, recording studio activities, record labels, next generation music entrepreneurs. Having a brilliant idea is a great starting point, however a comprehensive and well thought out plan can be the difference between success or failure. With tutors providing essential music industry insight, your module will be tailored with 1-2-1 sessions to help you create a solid career plan – what do you want to achieve? How can you achieve it? How can you maximise both the creative and commercial potential of your ideas? Learn about: key Institutions, PRS, PPL, MCPS, & the MU, labels, aggregators, publishers, potential revenue streams, public funding and grants, technology in the industry. How can you be unique? Developing your brand, who to work with, fitting yourself to the industry, business protocol, viable projects, risks and reward assessment, contractual arrangements, assessing a plan, marketing, manufacturing, setting milestones, management and presentation skills. You could be an absolutely amazing producer. If you don’t know how to market yourself though, you’ll never reach your full potential. Big breaks often come as a chance meeting, or someone stumbling across your music page. 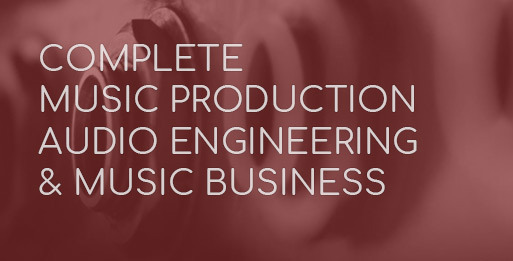 This course will show you how to make a great product – your music. The business module will then ensure that you don’t just sit and hope people stumble across your music. You’ll learn how to be smart and active distributing your music. Make the most of what you can offer the industry. None. Suitable for beginners or self-taught producers. No software, equipment at home or prior qualifications needed. Add the DJ module so you can get gigging! You’ll be able to make music to a very high level with Ableton Live. You’ll also have the business skills to promote your music. Contact us for full timetable with regards to Music Composition, Music Production and Music Business. From 12 – 48 months, from £145 per month. The SEM office can also offer advice on how to prepare for the application (electoral roll, credit score check etc.